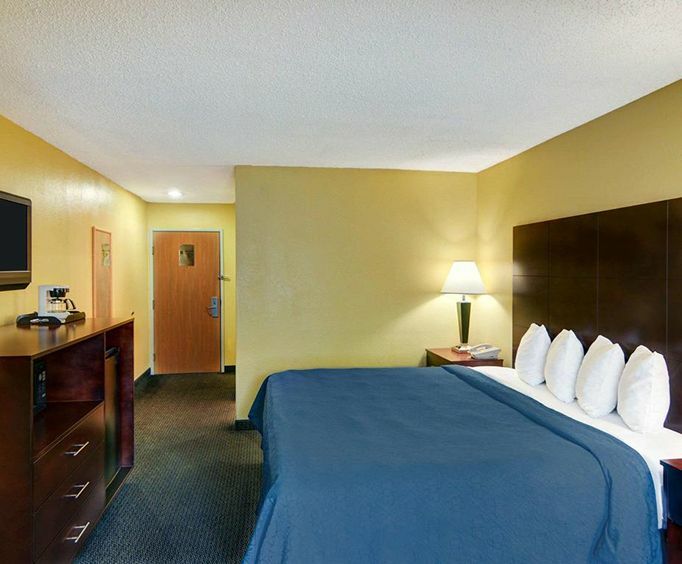 Located just six miles from Cowboys Stadium, the Quality Inn & Suites Grand Prairie is conveniently located and provides a comfortable stay. Complete with a host of excellent amenities that include a free weekday newspaper, the complimentary Q Corner Café full breakfast and an outdoor pool. 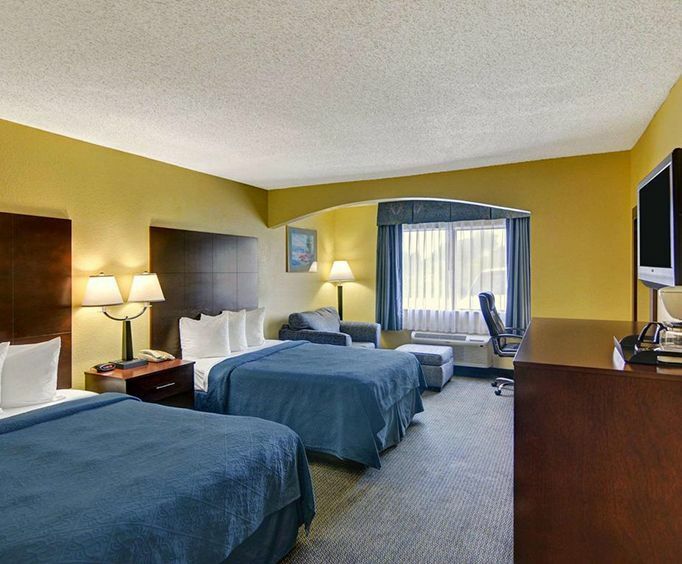 If you are adventurous and looking for entertainment, Six Flags Over Texas, Ripley's Wax Museum and The Oasis at Joe Pool Lake are just a short drive from the hotel. Start the day off right by taking advantage of the free hot breakfast available at the on-site Q Corner Cafe. After catching up on the news with a free daily newspaper, head out to the outdoor pool to splash around, or lay out to soak up some Texas sunshine lounging poolside. Grab a complimentary coffee from the lobby before heading out to explore the area. 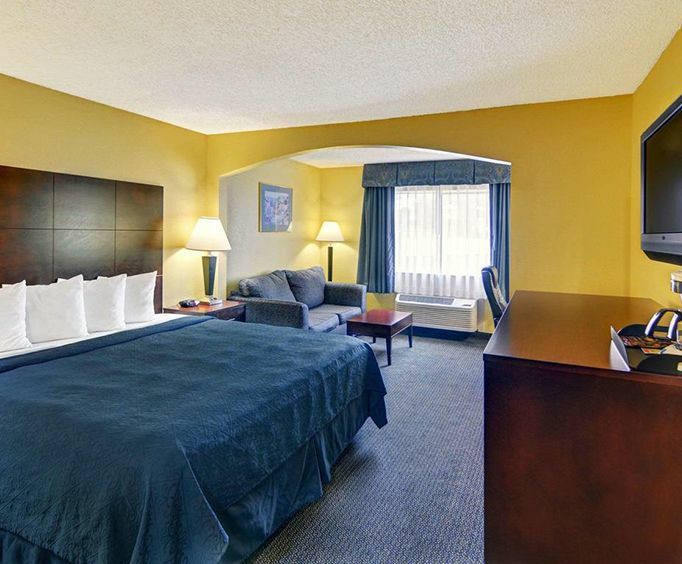 You can relax, and enjoy the room amenities provided for your comfort, including free local calls and complimentary high speed wireless internet access, as well as a refrigerator, microwave, coffee maker and 32-inch flat-screen TV complete with cable. Some rooms include an in-bath whirlpool. Nearby restaurants include Texas Roadhouse, Beto's Mexican Restaurant & Catering and KFC, all of which are located within half a mile of your hotel. If you feel like shopping, Sporting Mall is less than two miles away, and Six Flags Mall is less than five miles from the hotel.